Welcome to the Super 8 in Storm Lake, IA. 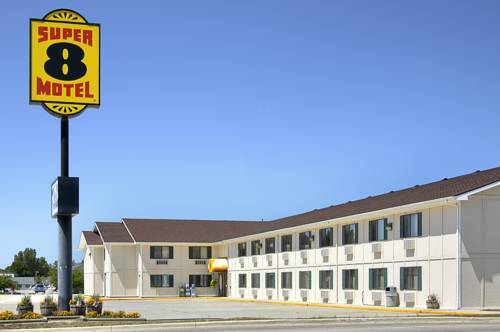 We are a Pride Of Super 8 property featuring free wireless high speed internet in all rooms, coffee maker and hair dryer in all rooms, & microwave and refrigerator in some rooms. Storm Lake offers many outdoor activities such as fishing, watersports, boating, and swimming. We are also located 1/2 mile from Buena Vista University. A duck statue sits atop the town welcome sign, which proclaims: "We're Friendly Ducks." ~33 miles from Storm Lake. An elephant supposedly died in town while on tour, was buried to remove its flesh, and was dug up to exhibit its bones. Or not. Maybe stick with the museum's Collection of Dirt? ~50 miles from Storm Lake. ~66 miles from Storm Lake.